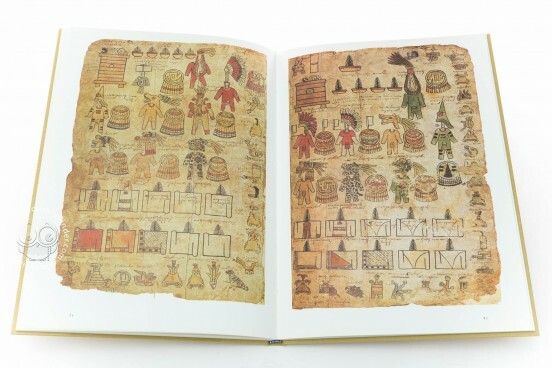 The Matricula has a long list of tributes which stem from the subjected provinces of the Aztecs and is one of the most important sources of information about old Mexico. 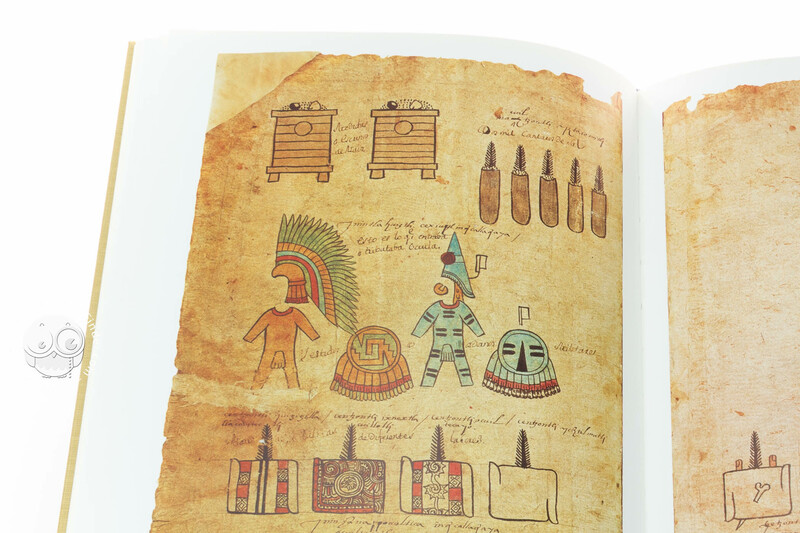 The content of this codex is shared partially with that of the Codice Mendocino (Codex Mendoza); both together representing the most important source with regards to the territorial and economic conditions of individual subsections of the Empire of the Three-Alliances under the rule of Tenochtitlan. 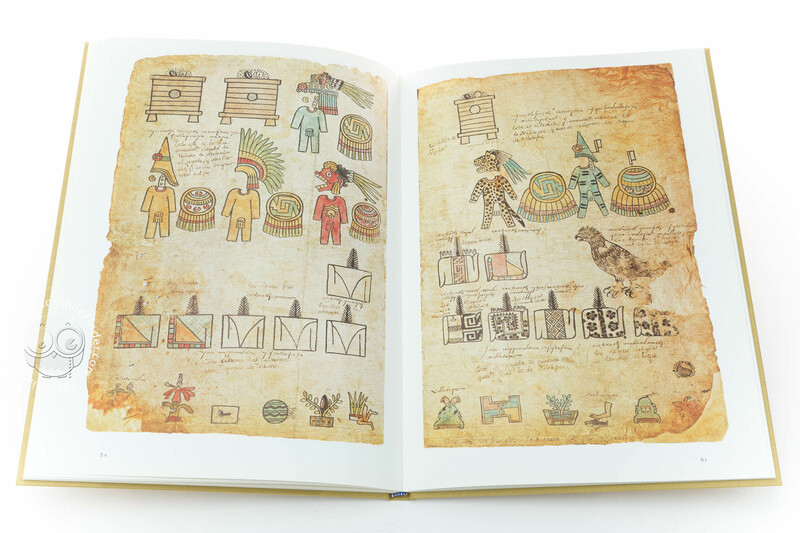 Appearing on every side are regional hieroglyphics from respective regions and in which the tributes paid by the various tributaries of the Aztec empire are featured. The writing and transcription of the names appear in European handwriting. 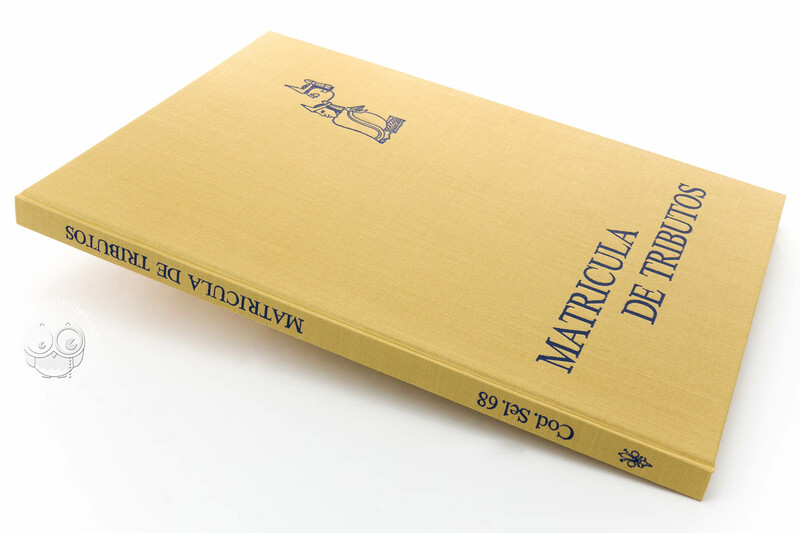 The arrangement of the leaves in bookform suggest an emergence of the Matricula after the time of conquest, even if some of the authors date it back to pre-conquest periods, as is the case with R. Barlow who set the earliest date. 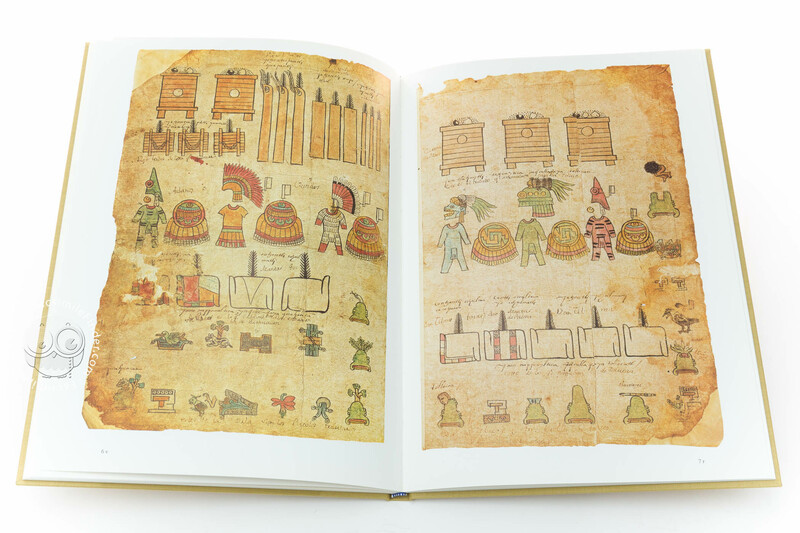 In contrast D. Robertson dates the Matricula according to the latest time period of 1540, when the second part of the Codex Mendoza was written. 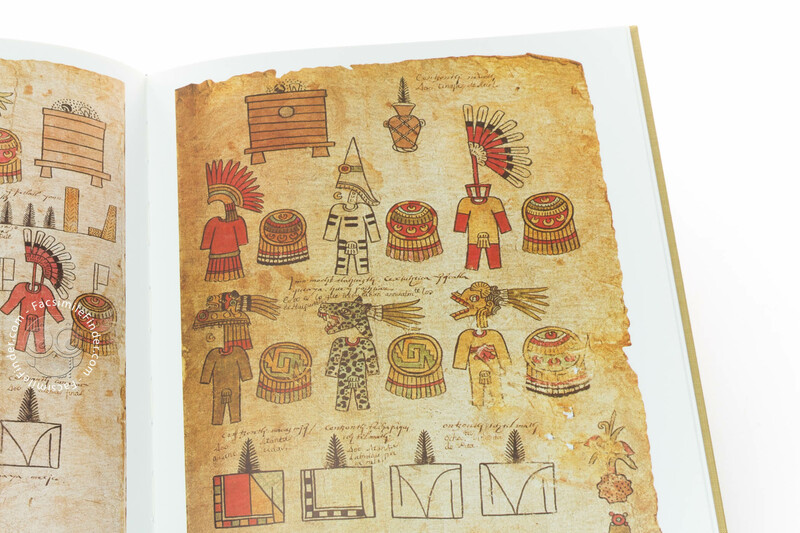 The scattered notes in Nahuatl and Spanish, naturally could have been only written after the conquest and at which time they were then added to the finished manuscript. Manuscript book on paper − 42 × 29 cm − 32 pp. 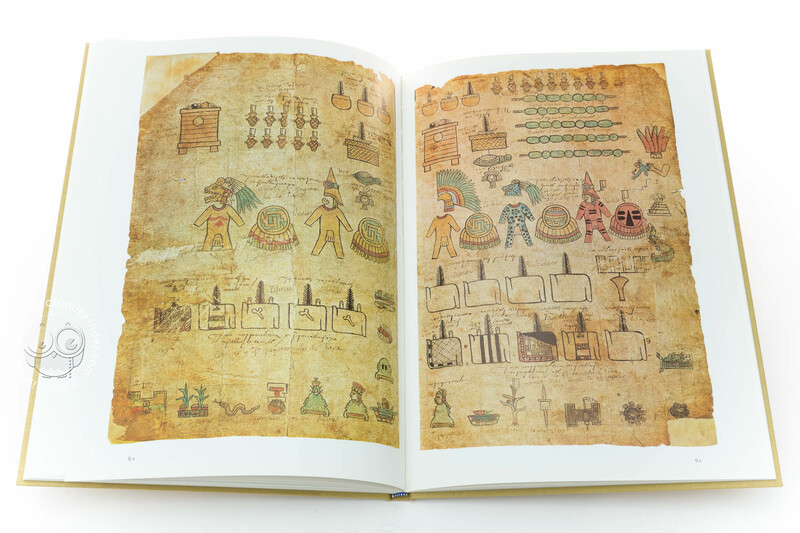 This is a partial facsimile of the original document, Matrícula de Tributos - Moctezuma Codex: the facsimile might represent only a part, or doesn't attempt to replicate the format, or doesn't imitate the look-and-feel of the original document. 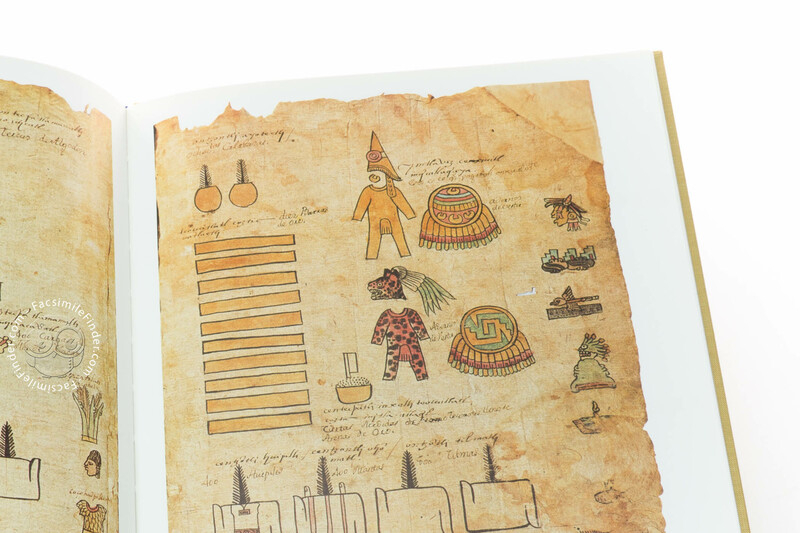 The facsimile (fully colored) is the complete reproduction of the whole original document. Reduced in size (7/10) compared to the original document, the pages are represented on a larger white background.